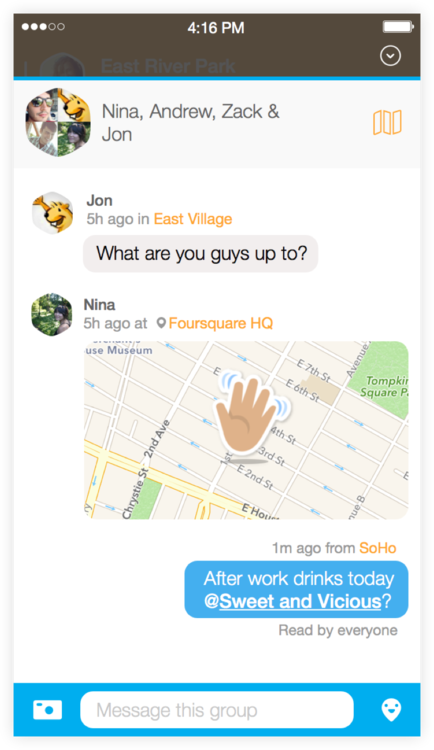 Foursquare is sprucing up Swarm up by adding direct messaging to the app. For those that need a refresher, Foursquare decided to split its service into two separate apps in May 2014. While the Foursquare app focuses on discovery, Swarm was created to help users connect with their friends. Since Swarm’s launch, however, Foursquare says that it has received feedback asking the company to make it easier to reach out to individual friends and small groups. Because of this feedback the company has unveiled a new messaging feature. The update will definitely make it easier for users to connect and meet up with friends through the app, and is now available in both the iOS and Android versions. It is also important to note that Foursquare hints at additional “fun” updates coming to Swarm soon.